Established in 1887, Kambala is an ELC to Year 12 Independent Anglican girls school, located in beautiful grounds on the rising shore above Rose Bay, overlooking Sydney Harbour. Kambala is an Anglican, Independent day and boarding school for girls located on the rising shore above Rose Bay with a breathtaking view of Sydney Harbour. 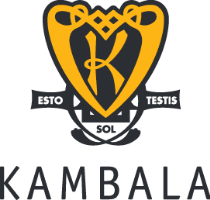 Founded in 1887, Kambala caters for students from Preparatory (four year olds) to Year 12, with boarders generally entering the School from Year 7. Kambala offers a broad and holistic education, an excellent teacher-to-student ratio and the opportunity for students to truly excel. Kambala’s rich and varied programs, administered in a positive and supportive environment, inspire every student to realise her own purpose with integrity, passion and generosity. Academically curious and intellectually brave, Kambala aspires to raise leaders of the future. Though non-selective, Kambala’s history of outstanding academic excellence, is highly regarded. The Year 12 results consistently place Kambala in the top group of schools in New South Wales, a testament to the School’s educational practices and dynamic learning community. Located in Sydney’s Eastern Suburbs, students enjoy the open space of the oval and lawn areas as well as the beautiful landscaped grounds surrounding the iconic, heritage-listed Tivoli building. Flexible learning spaces are complemented by specialist areas for Visual Arts, Music, Science, Design and Technology, Food Technology and Multimedia. Boarding facilities provide opportunity for individual nurturing. Tivoli, the School’s boarding house for Years 7 to 9, is a communal environment where all rooms are shared. Tivoli caters for younger students with a well-resourced study section and spacious recreational living. Fernbank, the boarding house for Years 10 to 12, allows great privacy and independence where boarders develop the skills necessary for life after School. The School offers a curriculum that provides a broad liberal education. A continuum of academic development is ensured with strong scholastic performance across all subject areas. The use of ICT to enhance learning is integrated within the curriculum. Students from Year 5 onwards have their own laptop. Extensive use of specialist teachers at the Junior level, is complemented by a wide range of subjects available to Senior students. The following subjects are available for students in Years 11 and 12 HSC: Biology, Business Studies, Chemistry, Design and Technology, Drama, Economics, English, Food Technology, French, Geography, IPT (Information Processes and Technology), Japanese, Latin, Legal Studies, Mathematics, Modern and Ancient History, Music, PDPHE, Physics, Visual Arts and all extension courses. In Years 11 and 12, girls have the opportunity to complete either the NSW Higher School Certificate or the International Baccalaureate (IB) Diploma Program. IB subjects include Design and Technology, English, French, Mandarin, Spanish, Psychology, Global Politics, Economics, History, Chemistry, Biology, Mathematics, Mathematical Studies, Music, Physics and Visual Arts. Kambala’s Junior boarding house, Tivoli, caters for younger students with a well-resourced study section and spacious recreational living. Fernbank, the Senior boarding house, allows great privacy and independence where boarders develop the skills necessary for life after School. A caring, nurturing and disciplined environment is maintained by the Director of Boarding, the resident staff, the school counsellors and nurses, ensuring that the residential experience of each girl is both happy and self-fulfilling. Boarders are each assigned to a mentor who acts as a guide and friend in the early stages of the girl’s boarding life. Academic support and a well structured social calendar provided for all boarders enables an efficient and easy transition to boarding. Sport encourages mental and physical fitness and promotes working together cohesively within a team. A broad range of sporting disciplines are offered at Kambala including Athletics, Basketball, Cross Country, Gymnastics, Hockey, Netball, Snowsports, Soccer, Swimming, Tennis, Touch Football and Water Polo. Girls are strongly encouraged to play competitive sport and to make full use of the extensive range of sporting opportunities. Saturday sport is available but not compulsory. Courses and activities offered in addition to the curriculum include Photography, Ceramics, Life Drawing, Speech, Drama, Debating, Future Problem Solving, Tournament of Minds, Mock Trial, the Duke of Edinburgh’s Award Scheme and numerous orchestral and vocal ensembles. The Junior School has extensive programs to allow students to follow their interests and passions. They encompass a variety of activities including Ballet, Chess, Gymnastics, Instrumental Music, Jazz, Mandarin, Swimming and Tennis. A variety of programs are led by Senior students including charity initiatives, the Student Representative Council, communication and environmental groups. An abundance of other special opportunities are available to students at Kambala. Some of these include sequential outdoor education experiences in Years 7 to 10, the Year 9 CASaK program, the Year 10 work experience program as well as overseas experience and study tours including World Challenge. Pastoral care at Kambala is concerned with promoting the academic, social, emotional, spiritual and physical wellbeing of all students. Kambala is committed to working with students to produce a love of learning, self-respect and a real sense of community. Self-esteem is built through the wide variety of opportunities to experience success in a very supportive environment, The School’s welfare and discipline policies take a problem-solving approach to discipline, emphasising the responsibilities that students have to themselves, to one-another, to their teachers and to their parents. The policies are underpinned by values important at Kambala: a safe, nurturing environment, respect for people and property, tolerance and compassion and pride in the School. Kambala offers annual scholarships for entry into Years 5, 7, 9 and 11 (full or part, Academic, Music). Half-scholarships for the daughters and granddaughters of Kambala Old Girls are also available. For further information contact Mrs Tracy Mulligan, Director of Enrolments, at (02) 9388 6844 or enrolments@kambala.nsw.edu.au. Children need to be happy to learn, so the school environment must be one that focuses on the welfare and happiness of its students. I believe that schools must be places that not only challenge students academically and spiritually, but must also be places where students feel safe, comfortable, cared for and accepted. For students to enjoy school, staff also need to feel appreciated and valued. Central to my educational philosophy is a genuine commitment to the wellbeing of all staff and students. Kambala has a strong reputation for academic excellence and the education of “the whole girl” through continually evolving teaching and learning practices, improving facilities, and expanding the opportunities provided to students. We value each girl as an individual and for her unique qualities and talents. The Kambala vision offers values relevant to young people today – integrity, respect for others, inclusivity and the importance of leadership skills such as teamwork, discipline and the ability to establish challenging and achievable goals.